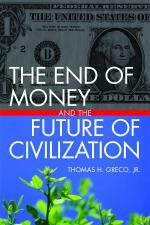 ← Can governments and banks be trusted with the money power? Part of the socio-economic transformation that needs to occur lies in shifting business motivation from profits for a few, to benefiting the common good. Cooperatives are not the full answer, but may have a useful role to play. A recent article, Six Ways to Fuel the Cooperative Takeover, provides some useful ideas in that direction. This entry was posted in Business, Finance and Economics and tagged cooperatives, coops, organization. Bookmark the permalink.